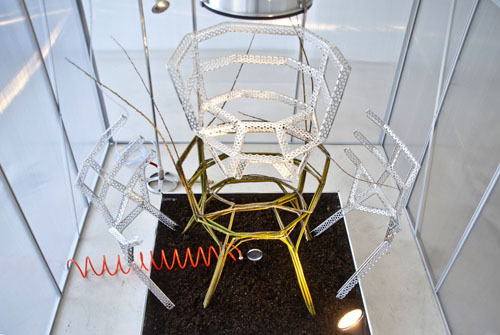 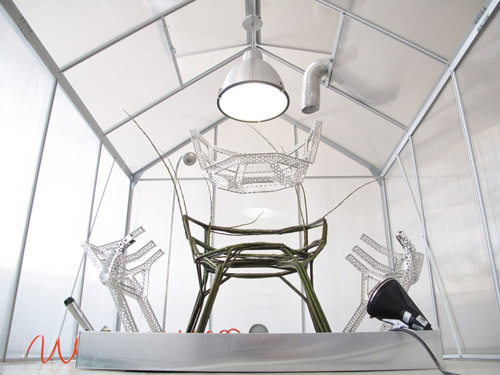 The Chair Farm by Studio Aisslinger is a utopic vision for the future. 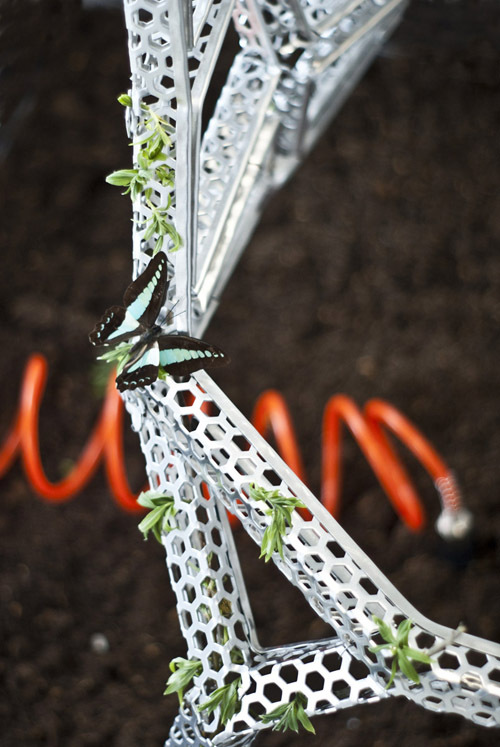 As we become more aware of our own carbon footprint, topics such as sustainability have surfaced more often, influencing our choices when selecting products to buy. 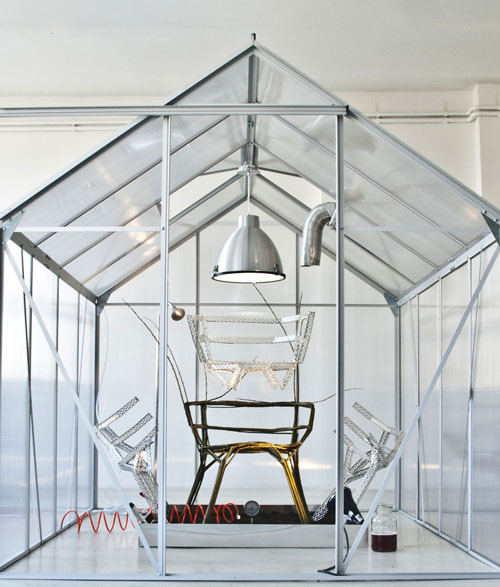 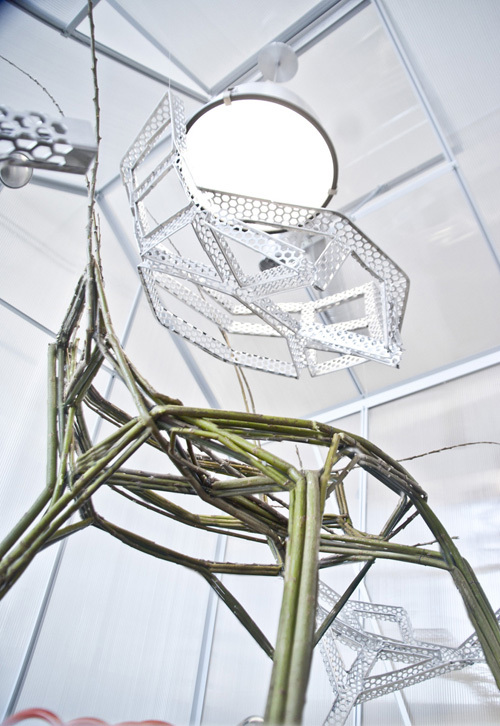 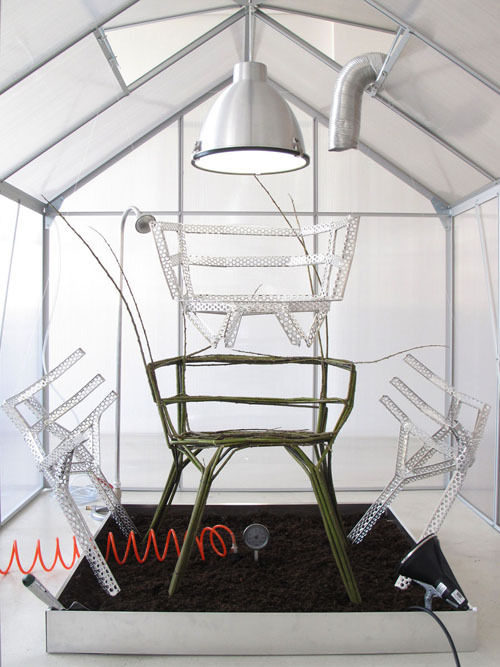 Just as you can harvest strawberries in the winter, you may perhaps in the future purchase a piece of harvested furniture grown inside a greenhouse, within the bounds of a steel corset. 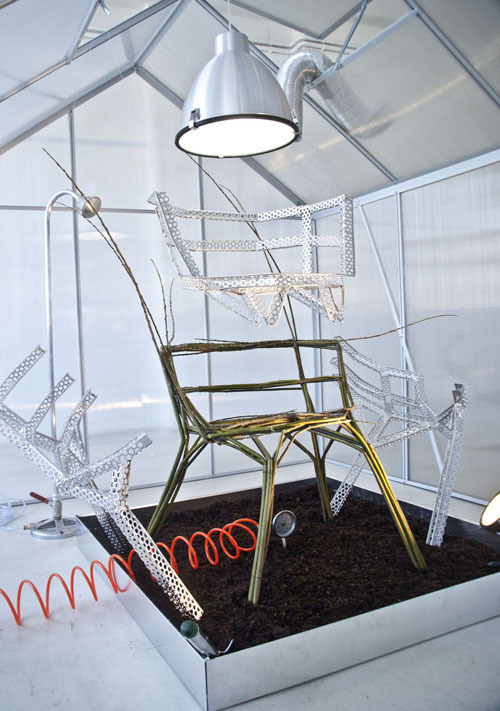 This “plantation chair”, when it has reached maturity, the steel corset is opened and removed, revealing a naturally grown chair.